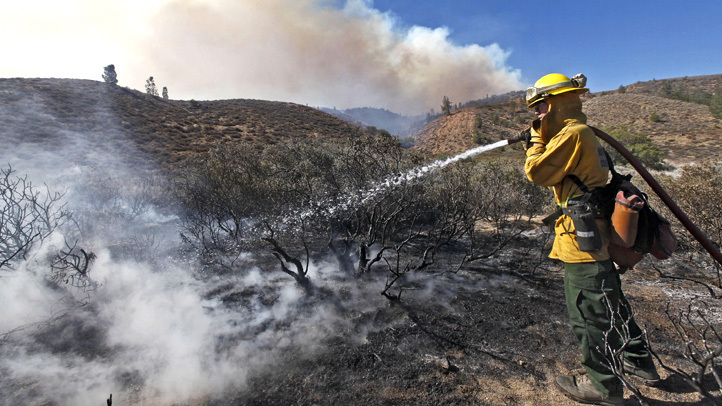 Cooler temperatures gave the more than 3,000 fire crews working around the clock a brief respite Wednesday but forecasters say Thursday and Friday will bring temperatures in the upper 80s with light winds and low humidity. Another 10 outbuildings also have been razed by the blaze that has charred 37 square miles (93 sq. kilometers). The blaze is 10 percent contained, the California Department of Forestry and Fire Protection said. On Tuesday, the operator of a bulldozer was killed when it rolled over during the fight against the blaze. Another operator escaped injury when a second bulldozer rolled over and sustained minor damage, according to the California Department of Forestry and Fire Protection. The name and age of the operator who was killed was not immediately available. Battalion Chief Robert Fish said the operator was working in steep and difficult-to-access terrain when the accident occurred. Fish did not have further details about the incident but said 60 bulldozers were being used in the fight against the fire. The death occurred as firefighters worked around the clock against the blaze near a scenic stretch of the California coast, where smoke and the threat of flames forced the closure of state parks near Big Sur, a popular tourist area. At least 2,000 structures were threatened. Pacific Coast Highway remained open Wednesday, but its signature views were marred by a dark haze. The blaze could crest a ridge and make a run toward campgrounds, lodges and redwoods closer to the shore, officials said. To the south, firefighters made progress containing a huge blaze in mountains outside Los Angeles, allowing authorities to let most of 20,000 people evacuated over the weekend return home. The fire has destroyed 18 homes since it started and authorities found the burned body of 67-year-old Robert Bresnick on Saturday in a car and said he had refused to be evacuated. 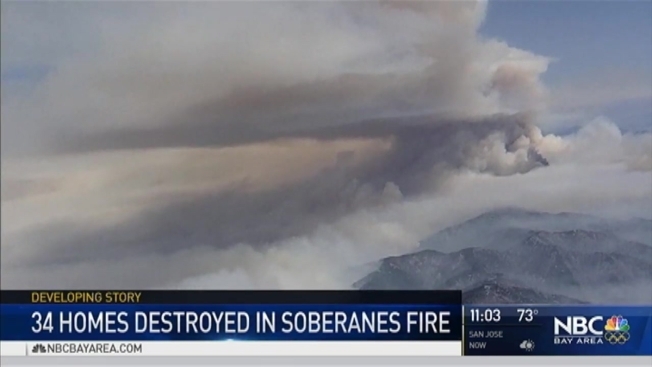 The fire in rugged wilderness between the northern edge of Los Angeles and the suburban city of Santa Clarita grew slightly to nearly 60 square miles (154 square kilometers). It was 40 percent contained. There was also high potential for "fire runs'' up slopes still choked with unburned brush, he said.